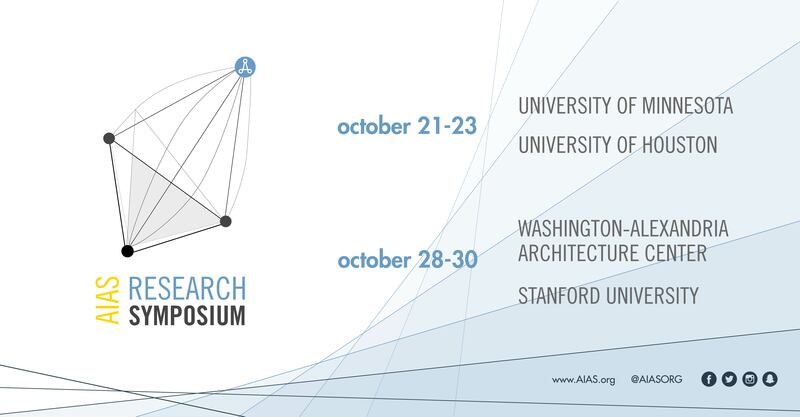 The AIAS will be presenting four AIAS Fall Research Symposiums for students in each AIAS Quad. The events are an effort to provide student members with training opportunities centered on designing, funding, performing, and presenting effective research projects. As research represents an important facet of architecture in both the academy and practice, we want to ensure our members obtain the skills and knowledge necessary to succeed in the profession. These events are perfect for any academic level – whether it’s students entering their thesis year or first year students hoping to elevate their design projects through evidence-based research strategies. The programming is scheduled to take place directly on campus at each school. The AIAS has reserved a small block of rooms near each campus. Please note, these room blocks are small and will go quickly. * DUE TO A CITY-WIDE CONFERENCE IN HOUSTON ATTRACTING OVER 10,000 VISITORS, THIS IS THE CLOSEST AND MOST INEXPENSIVE HOTEL WE COULD RESERVE. IT IS A SHORT DRIVE or a Metrorail Ride TO THE CAMPUS AND ATTENDEES SHOULD PLAN ARRANGING THEIR TRAVEL ACCORDINGLY.